This morning my Uncle Barry and I woke up about 8:15 a.m. After packing, we went down to the dining room to have our continental breakfast. We toured Nürnberg with its beautiful buildings and markets. Then we boarded the S-bahn to visit a dark place in history: the Reichsplatz. 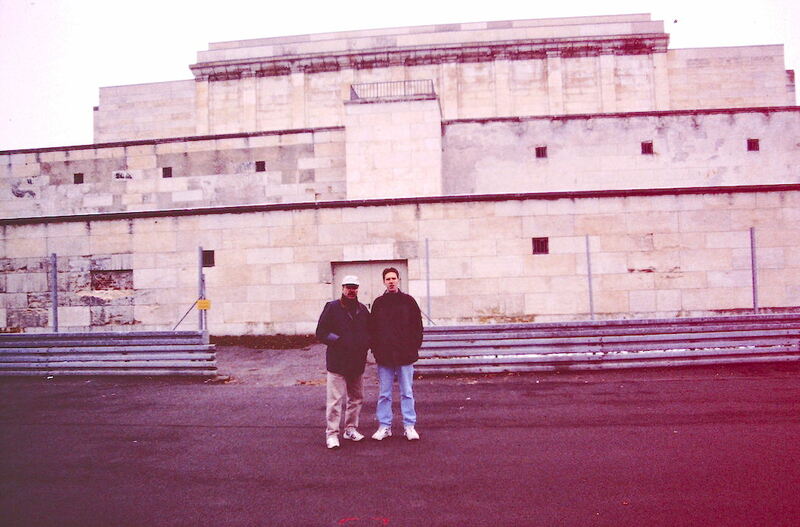 There we saw the huge stadium and zeppelin port where Adolf Hitler’s Nazi party staged huge rallies filled with propaganda. It is interesting that that the Nazis picked Nürnberg because support was especially low in the area. We met a nice older Jewish couple from D.C. while there who drove us to the centre of town where we walked by some Christmas markets before stopping for a quick lunch at an Italian cafe. 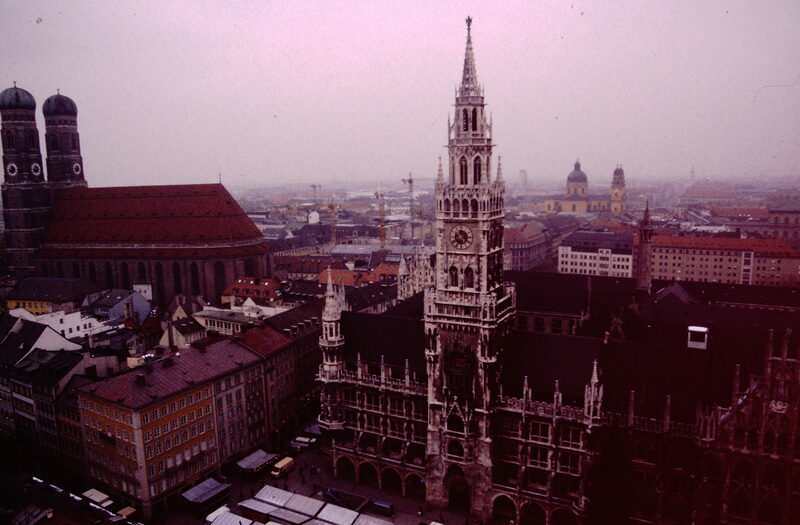 We then left at about 13:00 p.m. on our drive to München, where we arrived at about 16:00 p.m. We drove to the Hauptbahnhof to arrange lodging for the evening. We then walked around the huge and beautiful Bavarian capital. We strolled by the famous churches before we went to have a taste of Bavarian cultured catered to tourists at the famous Hofbrauhaus. Barry and I found a table by asking that customary German saying for dinner, “ist diesem noch frei?” Of course, they turned out to not be German. Barry and I sat next to a couple of women from Houston and had an enjoyable conversation. I had a pilsner, weiswurst and bretzel for supper while we listened to some loud and festive live Bavarian bands. Most of the music was traditional German but they threw in a few songs like John Denver’s “Country Roads” and Frank Sinatra’s “Start Spreading the News.” The band and many people there were dressed in the traditional Bavarian style with the feathered felt hats, lederhosen, leather shoes and rustic shirts. While the brass band played, the somewhat tipsy tourists and locals would sing the words as loud as they could muster. Afterwards, we walked back to the B&B and went to bed at around midnight. It was a fascinating introduction to Bavarian Germany which is very different from the Rhineland, Koln, Berlin and Nürnberg.